Ah, summertime by the Bay–the cold, the rain, the rock-hard peaches. Hope you’re all making the most of it. I wanted to drop a line to let you know about some exciting shows coming up in the next month–many of them free! 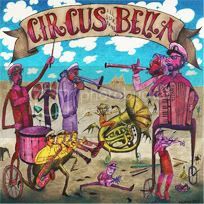 As you may know, and as my wife likes to say, “Ian ran off and joined the circus!” Specifically, I’m playing with the Circus Bella All-Star Band, which accompanies the local independent circus of the same name as they go about their Death-Defying feats of Derring-Do. The band is led by composer/accordionist extraordinaire Rob Reich, and features a fine cast of Bay Area perennials (including the amazing multi-instrumentalist wizard Ralph Carney). 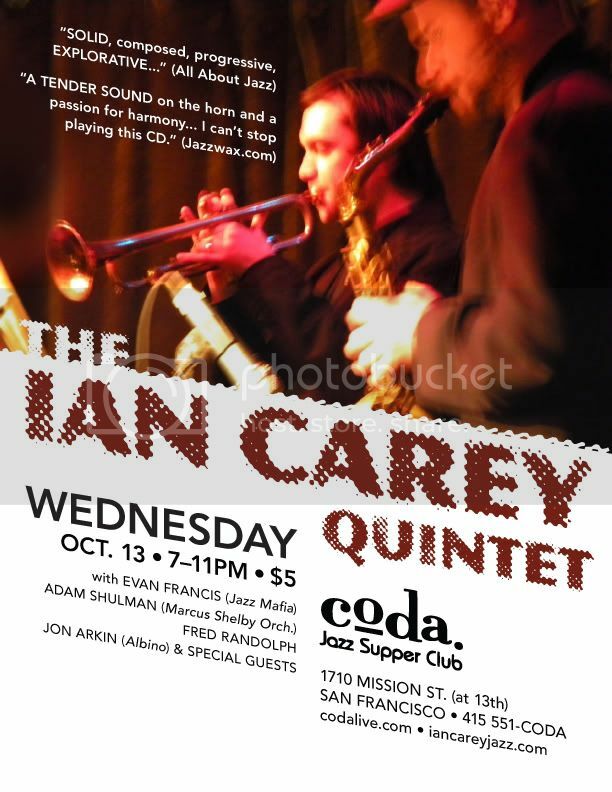 The music is an eclectic (I know, but in this case it’s true) mix of early jazz, brass band, Balkan, Gypsy, and indie rock influences, chock full of improvisation and surprises. The band has also recorded a fine new album (click here to sample or purchase) featuring an expanded version of the group, and will be having a CD release show on July 24th (Happy Birthday to me!) at Berkeley’s Freight & Salvage at 8pm. There may even be assorted juggling and other unexpected circusness! Finally, with the assistance of my lawyers, I will close by saying, Come one, Come all, one of you should come, all of you should come, to the Greatest Show on Earth! to a very good show on this planet!